Welcome to Outermost Angling Charters, a leading sportfishing outfit based on Cape Cod. 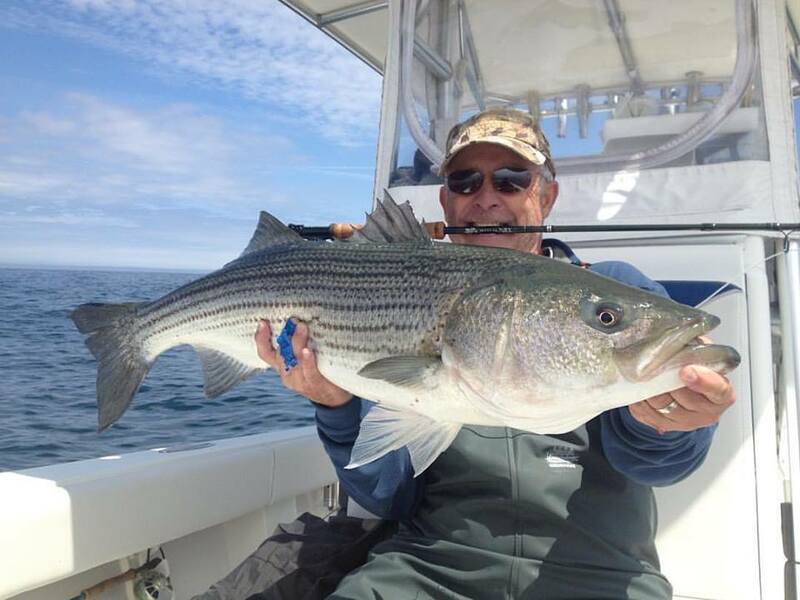 We specialize in light-tackle and fly-fishing for striped bass, bluefish and Atlantic bluefin tuna, running guided trips aboard our 26-foot Seavee from early spring to late fall. Year after year we continue to prove to be one of the top-producing sportfishing vessels on the Cape, serving anglers from around the globe, of all levels of experience. Cape Cod Bay and the ocean waters from Provincetown to Chatham and beyond are home to a world-class fishery, capable of producing the catch of a lifetime. We equip our customers with top-of-the-line inshore and offshore tackle to maximize their chance of success with every hook-up. Our techniques vary from “jigging-and-popping” for Atlantic bluefin tuna, to offshore big-game flyfishing — the ultimate challenge for anglers pursuing fast-moving pelagic species like the bluefin. We use light tackle spinning set-ups or fly-fishing for our inshore species such as striped bass, bluefish, bonito, or false albacore. Our best weapon is the knowledge and expertise of Capt. Josh Zacharias, who has 30-plus years’ experience fishing and navigating the waters around Cape Cod. Browse our website for more information on the species we target, rates, the boat and captain, as well as photo galleries that capture the full spectrum of the Outermost Angling experience, from launch to landing. These sponsors help us maintain a high level of quality in our operation.